A supermodel, entrepreneur, and philanthropist – what else could a girl ask for? Karlie Kloss was missing one thing in her resume- a partnership with a renowned makeup brand such as Estée Lauder. The long-legged blonde is now the new face of the iconic beauty label. She is joining the Estée family alongside Kendall Jenner, Elizabeth Hurley, Joan Smalls, Carolyn Murphy, Fei Fei Sun, Hilary Rhoda, Misty Copeland and more. “My entire career, having a beauty contract has been at the top of my bucket list. When I was on an airplane commuting between my life as a high school student in St. Louis and my parallel life as a fashion model in NYC, I would journal about my dreams. I have to find that journal that says, ‘Bucket List: Estée Lauder beauty contract.’ It’s surreal, and I’m really grateful and excited. I actually think beauty and tech sit at this really unique intersection with so much power and opportunity to innovate and be creative. Throughout my own career, I’ve watched the increased emergence of fashion and tech, from the rise of e-commerce and wearable tech to 3D photoshoots. These two worlds will only become more intertwined, which will lead to many more changes and innovations in the industry in the coming years.’- the gorgeous Kloss said. Did you hear the news? @karliekloss is our new #EsteeGlobalAmbassador! Click the link in our bio to follow along on her first day at our #NYC Headquarters! 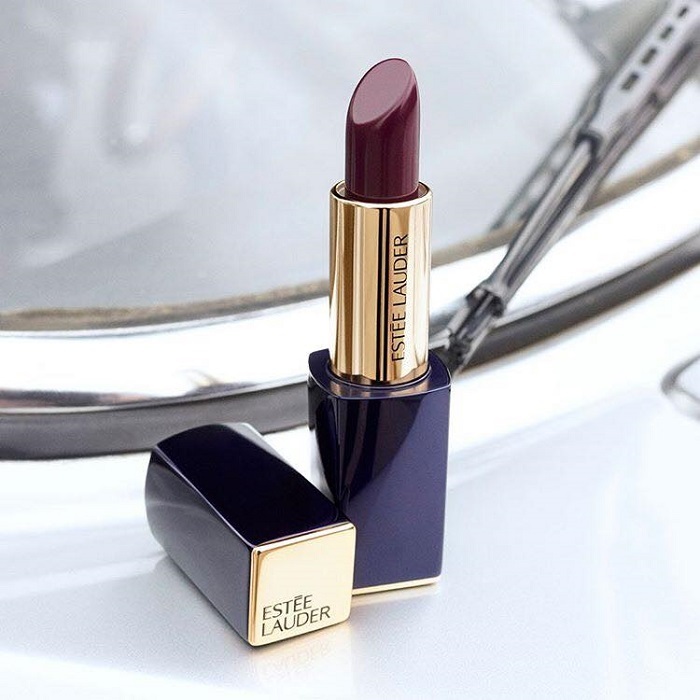 And get her first-day lip look with #LipstickEnvy in Insolent Plum. At only 25, the supermodel is doing everything she can to make the world a better place. Kloss is not only a pretty face, but she’s got plenty of brains. Karlie launched Kode With Klossy, a special program for girls. During the classes, all of the young brainiacs will learn how to code and will be empowered through every step of the experience. With this program, the model wants to stimulate your girls to be leaders and to own their businesses without having to depend on someone else. Kloss is one of the rare celebrities who is not only invested in always looking beautiful. She is a very successful businesswoman and often takes an important part in movements for female empowerment and equal pay. Karlie’s first campaign for Estée Lauder will drop sometime in July. Until then, the model revealed some of her favorite Estée products to keep you entertained while you wait. 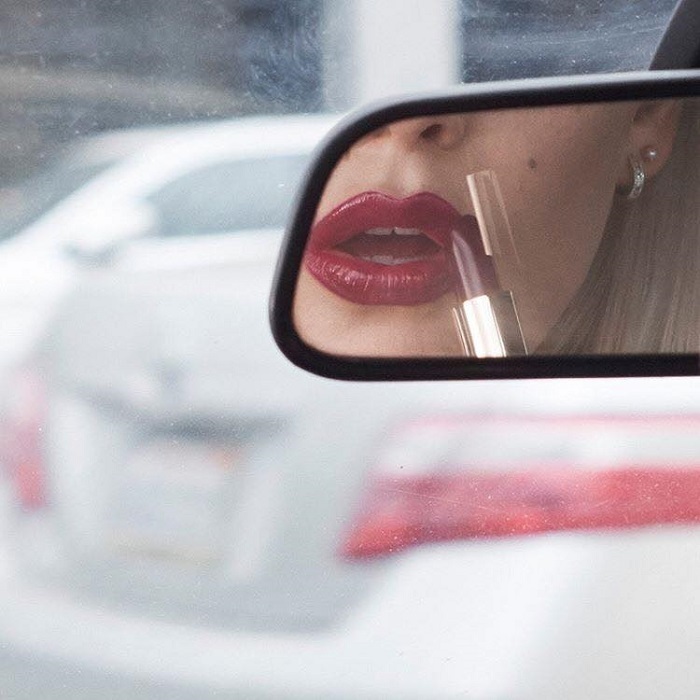 Her all-time favorite lipstick is the Envy Lipstick in Insolent Plum. It’s a gorgeous dark purple/plum shade that looks especially flattering on fair skin tones. Her second go-to product is the Double Wear Foundation. The whole advertisement material including pictures, videos and billboards are coming very soon, so brace yourself for another amazing beauty campaign.